Wind energy is energy you get from the air. Some people use hydro energy or solar energy and some people use wind energy. You can get your wind or air energy by using wind turbines. Wind turbines are turbines that haves a wheel spinning by the wind creating electricity also known as energy. 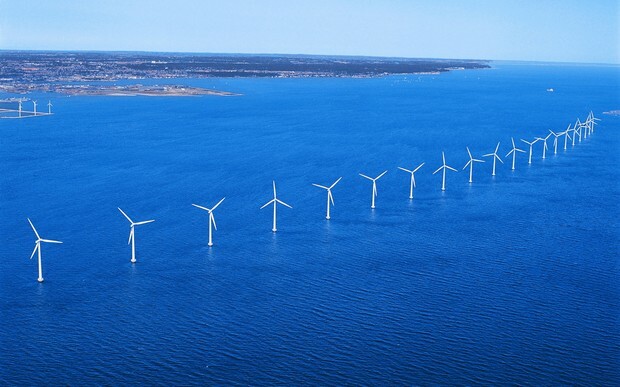 Wind energy is efficient meaning that it is a good energy source. It's also environmental. There are some disadvantages though when you are near the wind turbine it creates this very annoying twitch in your eye, now maybe you can live with that but I can't. One more thing, wind energy is a no renewable resource and very efficient. Well that's all see you later and think about using this wind energy ok. See you later good bye.